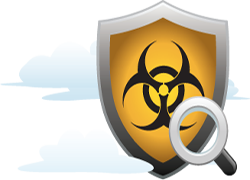 Malware Scan | BrainSoft Software (P) Ltd.
Malware is big and malware is bad. Your computer is constantly at risk from infection by malware including viruses, worms, trojans, rootkits, dialers and spyware. Malwarebytes specializes in fighting malware. If viruses are mischief, malware is mayhem. Malware doesnt just want to disrupt your network, it wants your keystrokes, logins, passwords, address book, data, credit card information, favorite t-shirt and possibly your cat. Malware is not going away any time soon. Malware is growing, developing, constantly evolving. Malware is becoming more difficult to detect, and even harder to remove.Only the most sophisticated anti-malware techniques can detect and remove malicious programs from your computer. Malwarebytes Anti-Malware PRO combines powerful new technologies designed to seek out, destroy, and prevent malware. Malwarebytes Anti-Malware PRO detects AND protects in an easy-to-use, straightforward, heavy-hitting but lightweight anti-malware application.